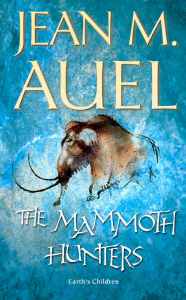 If Golding’s Nobel Prize winning masterpiece is the literary “form” of the genre, it is Jean M. Auel’s Earth’s Children series (starting with The Clan of the Cave Bear and culminating, more than thirty years later, with The Land of Painted Caves) that has set the tone in commercial terms, selling more than 45 million copies. Language, in Auel’s text, is less prominent than plot and characterisation, both of which are a good deal more complex than they are in Golding’s. Auel’s central character, Ayla, is a fully modern human, separated from her parents at an early stage and raised by Neanderthals. The language that she learns from them (described in some detail in The Clan of the Cave Bear) is more nuanced than that of Golding’s Neanderthals, a mixture of words and an elaborate system of signs. Ayla is eventually forced to leave her adopted family, and it is only after she encounters an injured man, Jondalar, and nurses him back to health, that she learns from him a language that more closely resembles our own. Later, in The Mammoth Hunters, she travels with Jondalar among peoples whose languages he can speak, but she cannot. Here, the distinction between her rudimentary dialogue, as she struggles to master a strange language, contrasts with the sophisticated verbal reasoning of her internal thoughts (presumably, though not explicitly, in the language she has only recently learned from Jondalar). “You like touch horse?” Ayla asks a child, amazed by the fact that she (Ayla) has a tame animal. “Ayla was puzzled again about a question that had bothered her since Durc was born. How did life begin?...Jondalar thought the Great Earth Mother mixed the spirits of a man and a woman together and put them inside the woman when she became pregnant. But Ayla had formed her own opinion. 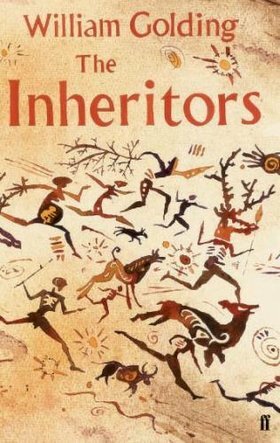 When she noticed that her son had some of her characteristics, and some of the Clan’s, she realised that no life started to grow inside her until after Broud forced his penetration into her...” (The Mammoth Hunters, Chapter 1). There is little attempt here to imagine the language in which Ayla and Jondalar speak and think. It would surely be difficult to sustain such a linguistic experiment through all the twists and turns of a plot that fills eighteen times as many pages (taking the six volumes of Earth’s Children as a whole) as Golding’s short novel. Instead, Ayla and Jondalar speak, and think, much as we do. A novel succeeds, perhaps, as much because of what it does not attempt to do as of what it does. A novel that tries to do too many things at the same time will place too heavy a burden on the reader. Auel’s story is not told from a single viewpoint. Instead, the third person narration alternates between Ayla’s and Jondalar’s perspective (a device introduced in The Valley of the Horses,” in which Ayla’s and Jondalar’s stories are told separately up until the point at which they meet), but takes in, also, the viewpoints of the strangers that they encounter along the way. The reader is shown Ayla’s world in quite some detail, but never really enters it. Then again, we never truly enter Lok’s world, either, because the dialogue passages are interspersed with Golding’s third person narration, very much in the literary register of the mid-twentieth century. In her Essay, Tone and Language in Historical Fiction, Marguerite Yourcenar comments on the difficulties of fictionalising the conversation of past epochs, arguing that the representation of speech, “...in all its spontaneity, its disjointed logic, its complex byways, its lacunae, and its unarticulated implications” was, in any case, not attempted by writers before the 19th Century (Tolstoy, Ibsen), “...without passing through tragic or comic stylisation or lyric outburst.” From an Anglophone perspective, I might object that both Shakespeare and Chaucer provide some notable examples, even though both of them (like Tolstoy & Ibsen) were also capable of literary stylisation. In Memoirs of Hadrian, Yourcenar deploys her considerable scholarship in an attempt to recreate the oratio togata that would have been used at the Emperor’s Second Century court. When it comes to the fictionalisation of prehistoric periods, however, we have, by definition, no contemporary documents to rely on. The writer can only imagine the metaphors and similes, the jokes, the “verbal exchange and voice” of people living in remote periods, and on the quality of these imagined voices rests the credibility of a large part of his or her narrative. William Golding, in The Inheritors, goes further than most writers in his attempt to imagine the speech patterns of our early European ancestors (as they now, as once before, appear to have been), the Neanderthals. ‘Now I have a picture in my head. Lok is coming back to the fall. He runs along the side of the mountain. He carries a deer. A cat has killed the deer and sucked its blood, so there is no blame. So. Under this left arm. And under this right one’ – he held it out – ‘the quarters of a cow...’” (The Inheritors, Chapter 2). The language of the dialogue (the third person narration is another matter) has only simple present, past and future tenses (no conditional, pluperfect, imperfect etc.) and few words of more than two syllables. “I have a picture of...” is used to indicate conditional statements about the past and future. Golding’s Neaderthals clearly have a strong visual imagination. The Siege of Rathnapur J.G. Farrell. Some commentators thought it “predictable,” others described it as “Anglo-centric,” although the latter criticism doesn’t really hold, given that two of the titles are translated from other languages (Euro-centric, perhaps). Such lists are always subjective, of course, so here is mine (in no particular order). The Eagle of the Ninth, Rosemary Sutcliff. Predictable, perhaps, but it was actually the first work of historical fiction I ever read, when I was still in primary school, and it left me with a hunger to read more. If there’s a better reason than that for celebrating a book and its author, I have yet to think of it. I haven’t included Michelle Paver in my list, but I have a feeling that the next generation may include her works with as much predictability as Miller and I include Sutcliff’s. Claudius the God, Robert Graves. Here I’m being deliberately perverse, since most people would no doubt follow Miller in listing I, Claudius. For me the two books come as an item, and the second has sometimes been neglected in favour of the first. I Claudius explores how a basically decent man, as disinterested in the pursuit of power as he is ill-equipped for it, becomes, by accident, Rome’s fourth Emperor. It is only in the sequel that we see how even he is compromised and corrupted by power; how, in the process of becoming a god, he sets aside his humanity. Memoirs of Hadrian, Marguerite Yourcenar (translated by Grace Frick). Yourcenar may not be a household name as Graves and Sutcliff are, but those who write as well as read historical fiction greatly value her work. In her French original, Yourcenar went to great lengths to capture the cadences of the elaborate Latin speech that would have been used at Hadrian’s court. It is extraordinarily difficult to render this into English, but the labour of love that is Grace Frick’s translation comes as close as it is possible to come. It is worth pausing to celebrate the translator’s art as well as the writer’s. The best historical fiction, like the best science fiction and fantasy writing, has the potential to take the reader into a world that is utterly unfamiliar. Here Golding does precisely this, going further back in time (around 30,000 years) than any of the other titles in my list or in Miller’s. His subject is the encounter between fully modern humans and the last of the Neanderthals, but the breathtaking boldness of his approach is that he shows us this encounter, and the world in which it takes place, from the perspective of the Neanderthals, imagining (since, unlike Yourcenar, he had no means of reconstructing) the rhythm of their lives and language. We tend to think of Dickens as a chronicler of his own times, but he set this book, arguably one of his greatest works, almost a hundred years in the past. It has one of the most memorable opening lines in the whole canon of English literature (“It was the best of times, it was the worst of times...”) and Dickens goes on, at the end of the first paragraph (“...in short, the period was so far like the present period, that some of its noisiest authorities insisted on its being received, for good or for ill, in the superlative degree of comparison only...”) to address, more directly than many other writers have done, the most fundamental relationship in historical fiction: that between the past he is writing about and the present in which he is writing. Shipwrecks, Akira Yoshimura (translated by Mark Ealey). This is another book that takes the reader into an entirely unfamiliar world, not only because it is set in Medieval Japan, but also because its protaganist, Isaku, lives in an impoverished coastal village, far from the heroic world of shoguns and samurai which other writers have taken as their milieu. Its theme is the struggle for survival as Isaku comes of age, learning not only to fish, but also to take part in the other source of income for the villagers, o-fune-sama, the deliberate wrecking and plundering of ships. The court of Henry VIII and, specifically, “the King’s Great Matter,” has generated so much fiction that one might have thought it had been done to death. Hilary Mantel, however, manages to offer something entirely new, both through her choice of protaganist (Thomas Cromwell) and, most particularly, through her extraordinary use of the present tense throughout the book. Lesser (or less experienced) writers should not try this at home! War and Peace, Leo Tolstoy (translated by Louise & Aylmer Maude). It would be difficult to leave this out of a top ten list, although the fact that it was published in the 19th Century makes it easy to forget that it was, even then, a work of historical fiction. Like Dickens in A Tale of Two Cities, but to an even greater extent, Tolstoy uses multiple viewpoints to show the reader both the broad sweep of history and the lives of those caught up in it, princes and princesses but also soldiers and peasants. Like Dickens, also, he consciously used historical drama to explore themes of relevance to the present in which he was writing. The thoroughness of Tolstoy’s research for the novel stands as an example to historical fiction writers today (he sought out people who had lived through the events he was writing about, and read hundreds of letters and journals). The Night Watch, Sarah Waters. The Second World War, like the reign of Henry VIII, has inspired plenty of fiction but Waters, like Mantel, manages to bring a fresh perspective to bear on it, focussing on the home front, and on the lives of women caught up in it. Interestingly, for a historical novel, it is written “back to front,” with three parts, the first set in 1947, the second in 1944 and the third in 1941. The same characters appear in the three parts, but their relationships shift and change, so that the process of reading the novel is almost akin to following the progress of an archaeological excavation, peeling back first one layer, then another, to reveal what lies underneath. The Sea Road, Margaret Elphinstone. I wanted to include one “wild card,” a book that might not appear on other peoples’ lists, written by a contemporary author who has not yet received the acclaim that I think she may deserve. It didn’t take me long to settle on Elphinstone as the author, but I did have to think quite seriously about which of her books to list here. The Sea Road tells the story of the Norse settlement of Greenland and Newfoundland through the eyes of a historical woman (Gudrid Thorbjornsdottir), as recounted to an Icelandic monk at the culmination of a pilgrimage to Rome. It deals with big historical themes (the role of women in Viking society, the relationship between paganism and Christianity, the interactions between Europeans and Amerindians) without seeming remotely didactic, and is a triumph of both characterisation and the lyrical evocation of place.